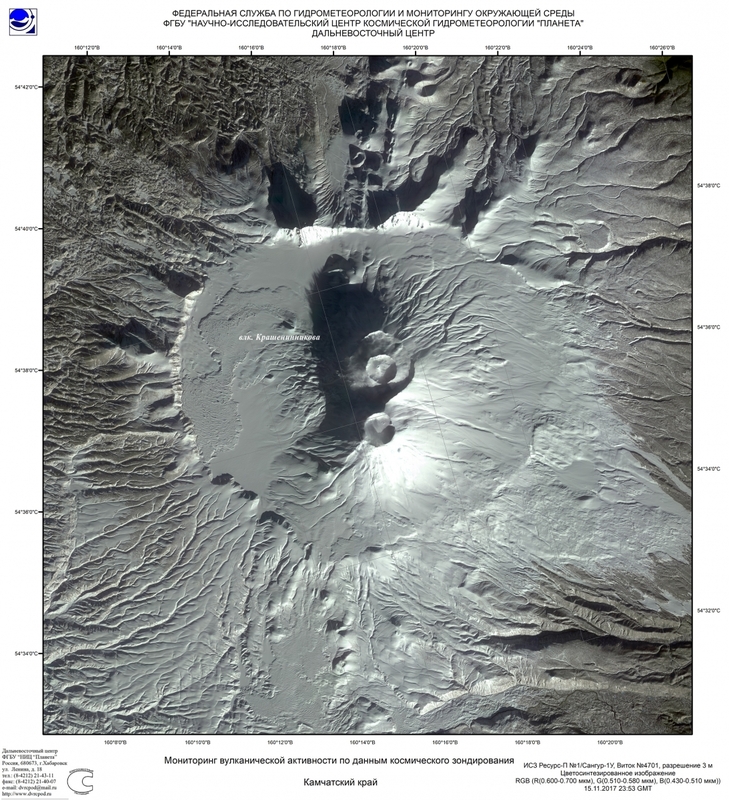 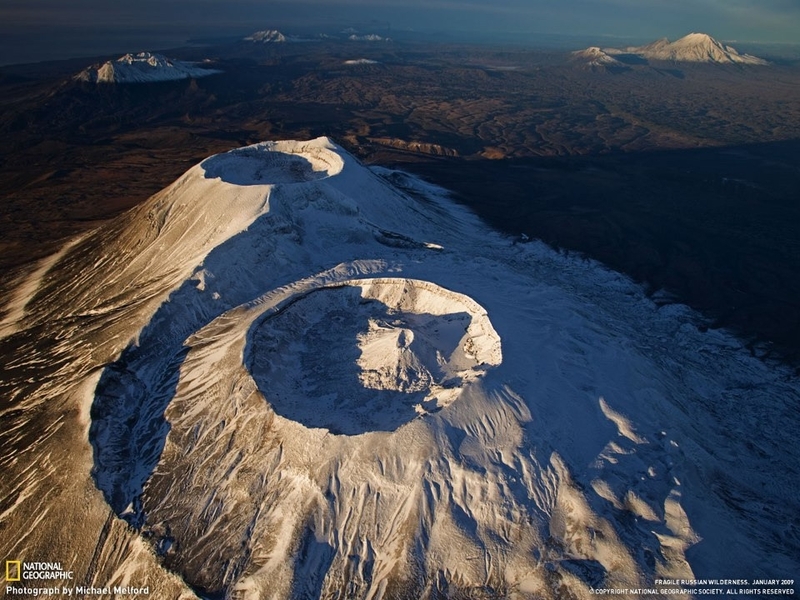 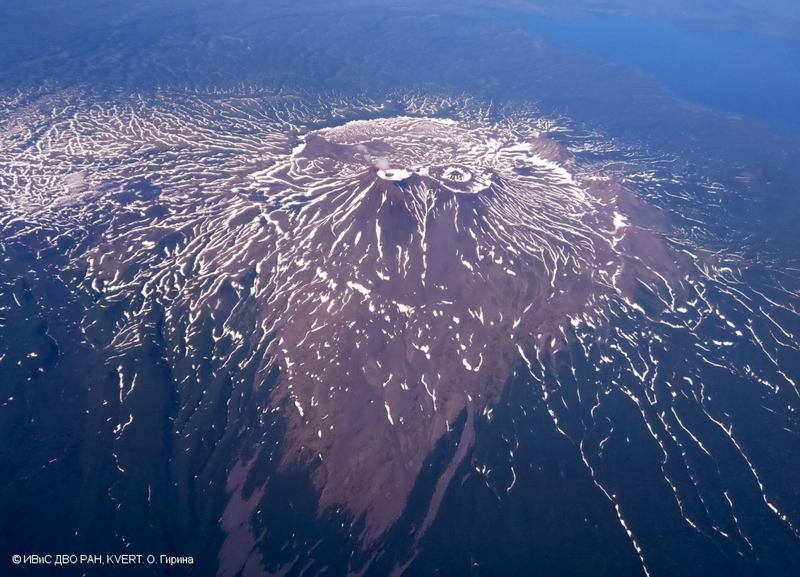 The volcano consists of two large coalesced cones and is located inside a 10x11-km-large Late Pleistocene Krasheninnikov caldera. 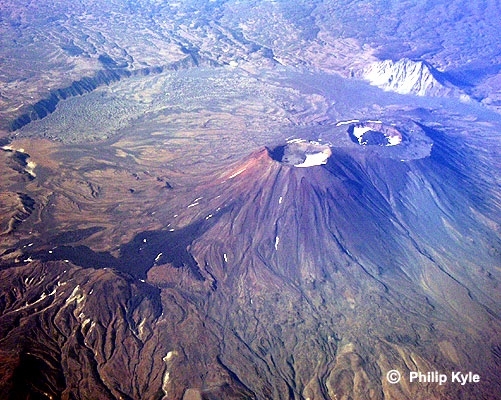 Black lava flow at the south slope of the volcano as well as a lava dome inside the Northern cone crater were formed only few hundreds of years ago and both composed of dacite. 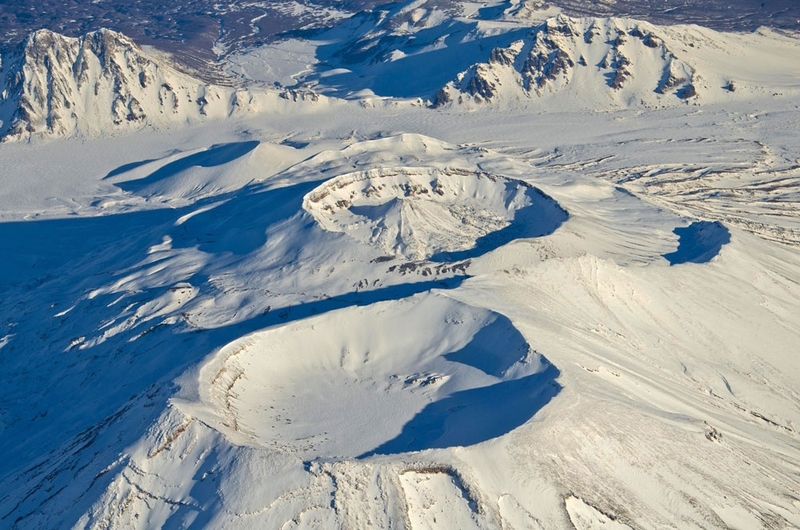 A dark-gray elongated patch behind the left branch of the black lava flow marks a fissure, which fed a 13-km-long andesite-dacite lava flow down to the left.